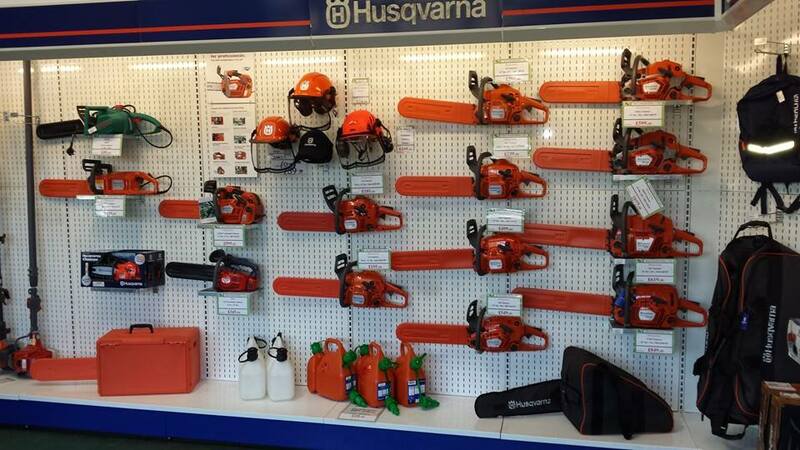 Looking for chainsaws near Malton or across the UK on display? Visit Steam and Moorland Garden Centre! We offer the best of garden machinery and have a variety of chainsaws for garden owners in need of a serious redesign and the professionals who provide such services to garden owners in York County and beyond. You can visit us any day of the week, including the weekends, for some serious discussion about the garden machinery you should get. Electric Chainsaws: Electric chainsaws run on electricity and do not often come with a petrol tank. We have a few of these available in our stock for customers who prefer them. While the differentiated fuelling mechanism may be preferred by some customers, there is that ever-present disadvantage of access. If you want to freely use the saw around your garden or in the garage, you will need an electric board with a long extension wire or you will only be able to work a couple of metres away from your fixed switchboard. Top Handled Chainsaws: Run on petrol, top-handles chainsaws come in a variety of blade sizes and strength. The specialised top handle on the machine allows for a firmer grip and more control while the saw is in operation. The variety in bar size allows you to choose the perfect chainsaw closest to your need and exact purpose. In our display of chainsaws near Malton, we have bar size options available between 14 and 36 inches. Chainsaw Accessories: Operating a chainsaw means getting in the way of high-speed flying debris and wood chunks and sawdust. There is also the risk of losing your grip on the handle due to the violent vibrations the machine produces while on. Therefore, having the right outfit and safety accessories for your chainsaw exercises is imperative for the safe use of it. In our stock for safety accessories related to chainsaw operation, we have complete protective kits, safety helmets specially designed for chainsaw users, chainsaw gloves, and protective boots. We also have other accessories in stock, including safety log holder, sawhorse for cutting logs, machine oil, and fuel cans. In terms of brands, we only keep the best in the industry. This is why we only have garden machinery, especially chainsaws, of the following three brands: Bosch, Husqvarna, Mitox. When investing in gardening machinery, including chainsaws and its accompanying accessories, it is quite important that you understand your needs. Having this knowledge will allow you to examine products with a clear idea of what will fit your needs and, if this is something you are not sure about, you should talk to one of our experts available among the displays. Tell the expert your needs and discuss your preferences and budget before letting them work on your problem. With the complete information of our stock, our experts will be able to help you choose the right options both for the chainsaws and the accessories. While we have this great display of chainsaws near Malton, those who cannot visit us can easily request the same products from our online store. We have a secure payment system in place on our website and accept Visa, MasterCard and PayPal. You can browse through our range of garden electronics and machinery using filters to keep the search relevant. We deliver orders all across the United Kingdom and in the EU. Our online store allows us to satisfy customers far beyond Malton or York. Visit our garden centre or get your favourite items online without delay.